More and more pumpkins. Pumpkin is great to bake with. It makes food moist, and adds a great subtle flavour. To top things off, it’s a vegetable – so it’s healthy too! 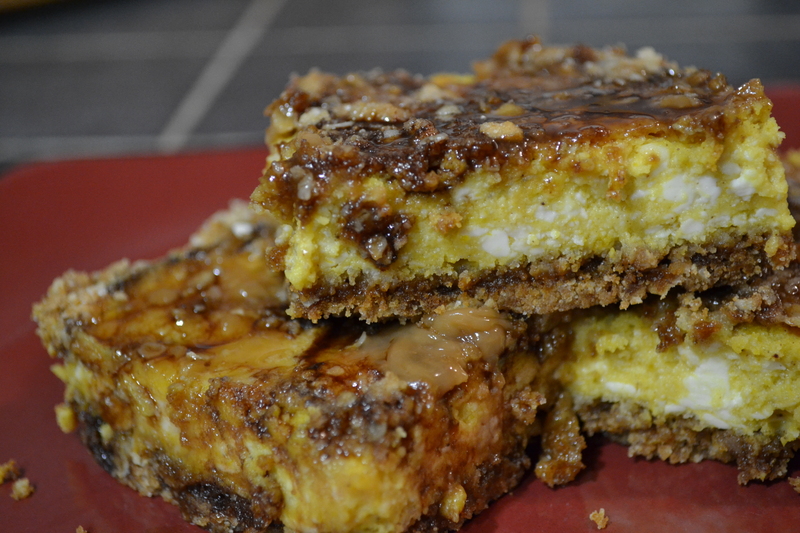 I said my last post that I would be making Pumpkin Cheesecake Squares. And so I did! They’re for a potluck at church tomorrow – I’ll let you know how they go over. They look pretty good! If you wanted to make this recipe a bit healthier, you can substitute milk fo the whipping cream, and can use light cream cheese in place of regular. Yogurt cheese would probably work well too, which would make this quite a bit healthier, with fewer calories. Here’s the recipe. Enjoy. Heat oven to 350. Stir together all dry ingredients for the crust. Cut in butter with a pastry cutter until crumbly. 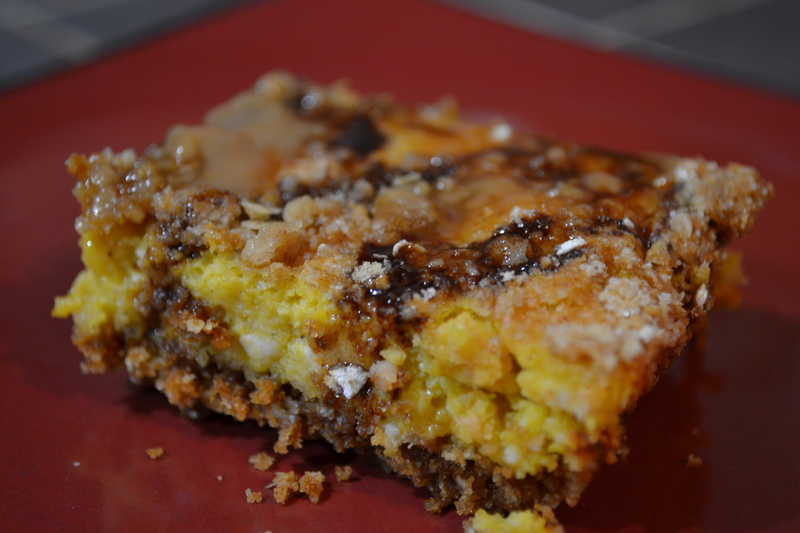 Press into 13×9 pan (ungreased), reserving 1 cup for topping. Bake for 1o minutes. In a bowl, beat together cream cheese and sugars until smooth. Add remaining ingredients and mix well. Pour over cookies crust. Sprinkle with reserved topping. Bake for 4o minutes, or until centre is set. Refrigerate until chilled. Before serving, if desired, drizzle with both chocolate a caramel ice cream topping. They look really great. Can’t wait to try taste them. Try out my Pumpkin Cranberry Bread if you enjoy pumpkin! What autumn fruits/vegetables do you like to use in your cooking and baking?